Nicolas Cage is one of my favorite actors, which might be a confusing statement from anyone who's judging his talent from the current crop of straight-to-streaming titles starring the Oscar-winning actor on Netflix. First off: the man decides to go and change his name from Nicolas Coppola — yes that Coppola — so he could get by on just his talent in Hollywood. I'm sure people still knew who he was, but it's a cool move nonetheless, especially because he named himself after then-obscure Marvel hero Luke Cage. I also love him because his career's been through a crazy number of ups and downs. 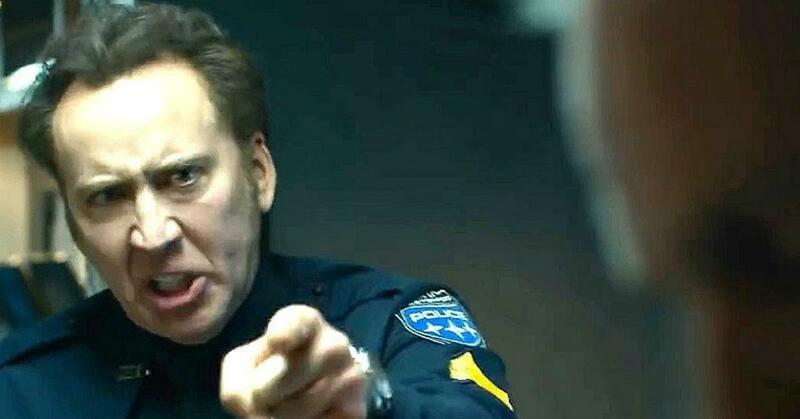 There was a time when you needed Nic Cage in your action film if you wanted it to make any money. 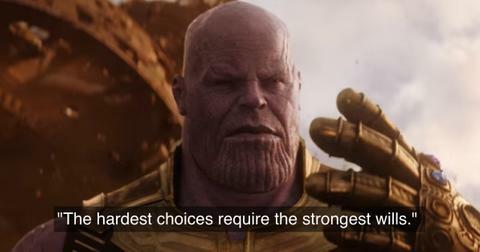 He won an Oscar for Leaving Las Vegas and earned another nomination for Adaptation where he played two roles, acted opposite Meryl Streep and held his own. But then there's the other reason I love him: his horrible, horrible films. Films that someone with his cinema "pedigree" should have no business touching. Films that give straight-to-Netflix a bad name. Films that you'd find in the bottom barrel of a hidden barrel at a Wal-Mart bargain bin. You might ask why such a commercially successful actor would do all of these movies. It doesn't hurt that Cage loves acting and said as much in his Leaving Las Vegas Oscar acceptance speech, but the man also needs money. He spends a lot, and items like fossilized dinosaur eggs and gas for his Ferrari Enzo don't come cheap. And the result is unwatchable movies like these. All right, so this actually had a theatrical release, but it shouldn't have. 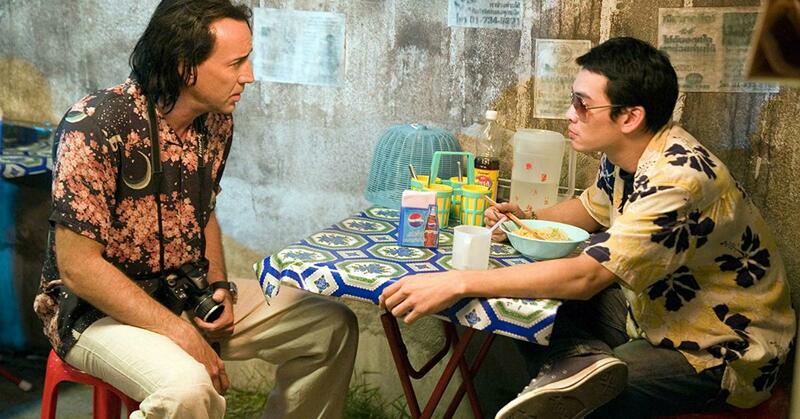 It's a senseless remake of a foreign film that was pretty good, Cage's Bangkok Dangerous is a profoundly boring mess that ends with Cage needlessly killing himself, but it's set up to be this huge dramatic event. The easy joke to make is, "how appropriate, because I felt like blowing my brains out after watching this," but honestly, the movie's just so profoundly boring I'm indifferent to it. Also, I just wanna say that I'm only listing the Rotten Tomatoes score here for reference. My distrust of the site was solidified when I saw Drive with a 51 percent score online, then, when one high-profile critic praised how it was a brilliant example of "minimalist filmmaking" everyone else started claiming it a masterpiece. 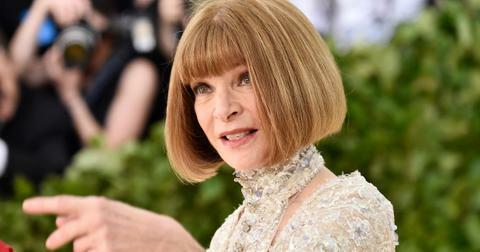 That movie now sits at a 92 percent critic's score. Vengeance: A Love Story is the 2017 film adaptation of a Joyce Carol Oates novella with a similar but oh so different title. Yes, the same Joyce Carol Oates who penned "Where Are You Going, Where Have You Been?" which I'm sure you remember from your first semester English Comp. class in college. 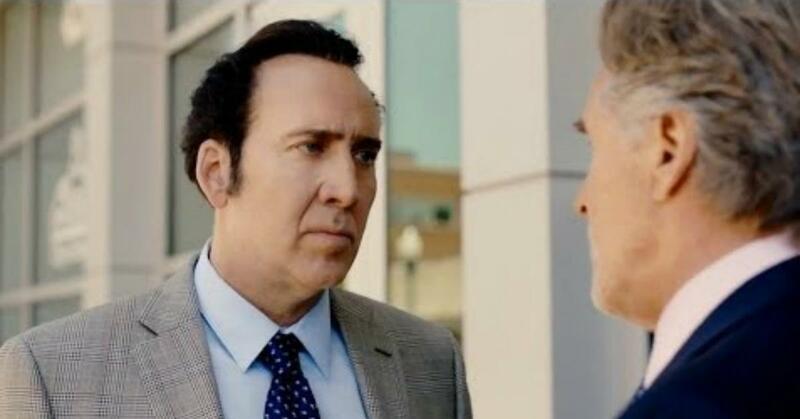 Cage plays a cop who likes to dish out his "own brand of justice," which just so happens to be the exact same brand every other no-nonsense cop who's sick and tired of playing by the rules dishes out. Must be what they teach in Police Academy detention. The film's box office pull was $73,270, or exactly one Audi S6 with taxes and fees, or seventeen houses in Detroit. 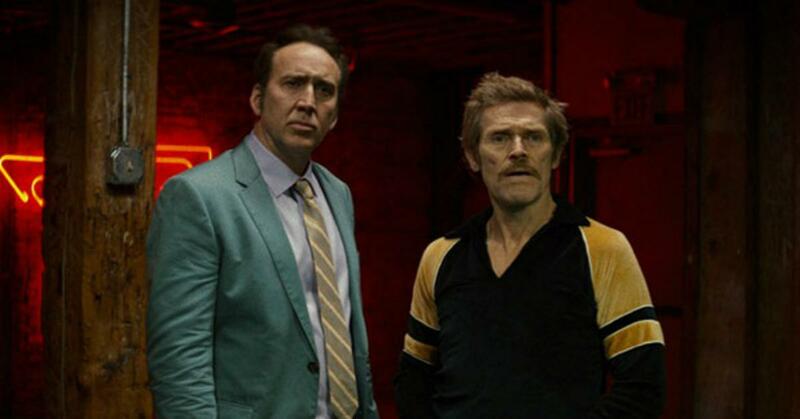 You'd think a film starring both Nic Cage and Willem Dafoe would pack enough quirkiness to be watchable, but the majority of people who've seen it haven't said good things. Sure, it's got some cool visual cues and, like I said, Cage and Dafoe are great, but apparently it's not enough to save the movie's blah storyline, which involves the men kidnapping a baby. 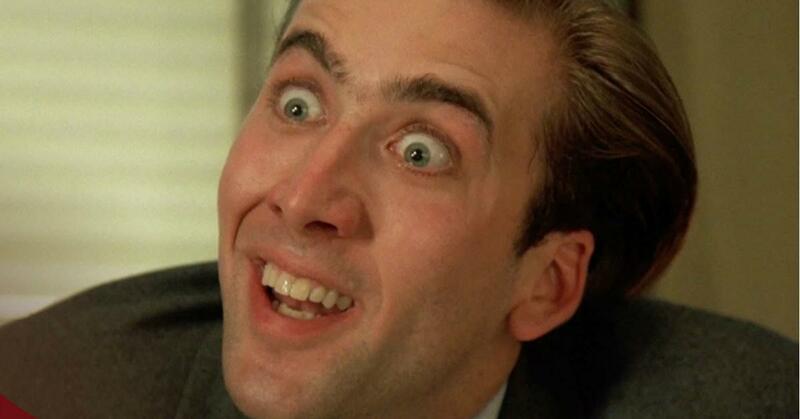 If you want to watch Cage kidnap a baby, always go with Raising Arizona. Always. Not only does this 2014 film feature one of the worst posters ever, it happened to be an unironic movie about The Rapture that was somehow funnier (for a completely different reason) than This is the End. 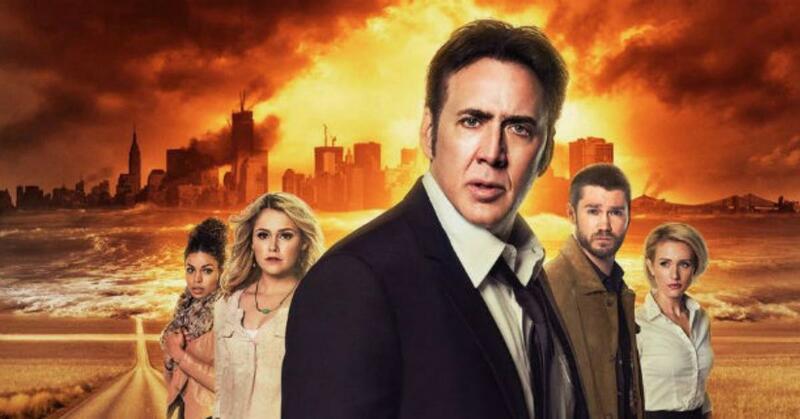 Nic Cage plays an airline pilot caught in the middle of the end-of-the-world event in this way-too-preachy film that feels like a bad joke. 211 is inspired by the real story of two cops and a civilian passenger who find themselves on the wrong end of a shootout with professional bank robbers who've got them outgunned. Penned as boring, trite, run-of-the-mill and a slew of other unpleasant adjectives, this movie is great if you've never seen a movie involving cops or a bank heist before. And even then you'd probably feel a bit bored by it. 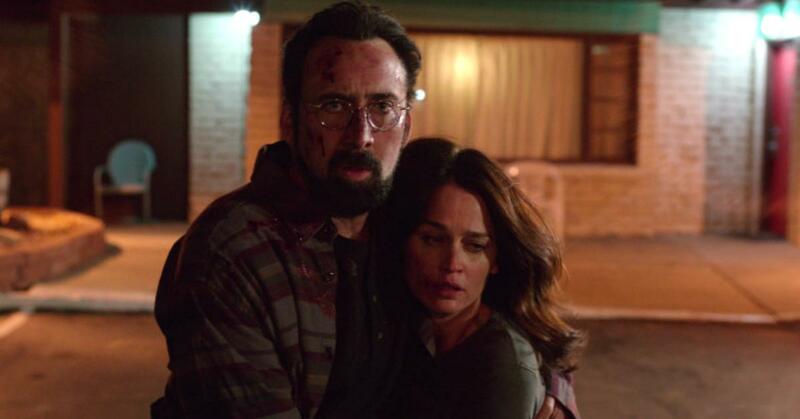 One of the better-reviewed new-Cage films, this thriller pits Cage in the role of a family man who just welcomed a baby into the world with his wife. 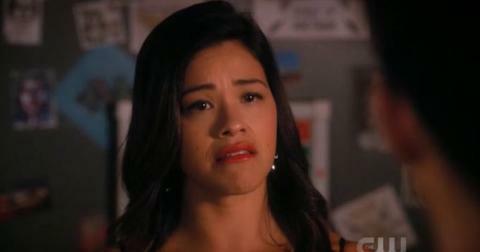 He also welcomes a young house guest, Katie, who joins their happy home as a nanny. As time progresses, however, it becomes clear that Katie's become obsessed with their baby girl and only hopes to destroy the happiness Cage and his wife enjoy. I'm pretty sure anyone who's liked this movie, however, only enjoyed it for the Princess Bride reference. This post-apocalyptic action film is set in a world where climate change has rendered resources scarce. Cage is part of an organization that banishes unproductive members of society to a colony known as New Eden. He does his job well, until he comes across a case so unjust that he can't continue doing it in good conscience and vows to destroy his employers by exposing their heinous deeds. It's full of "twists" you can see a mile a way and is a watered down version of every dystopian-future-evil-government movie you've ever seen. A political thriller about a Louisiana representative who finds his life mired in scandal and deceit following a BP oil spill scandal, Cage plays a straightlaced suit-and-tie type. 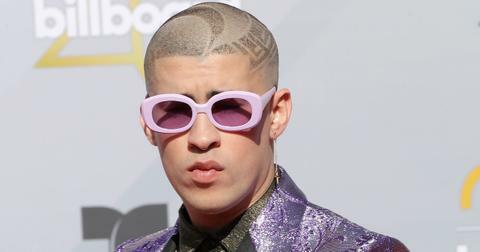 Many critics lamented the film's strong potential and chalk up Nic's "muted" performance to the fact that he's churning out a gazillion movies a year and needs to collect a paycheck. 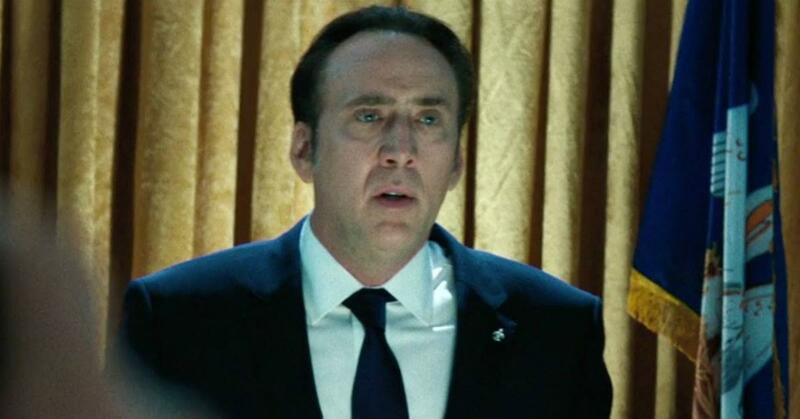 Fun fact: Cage lives in Louisiana and a lot of his straight-to-streaming titles are shot there. 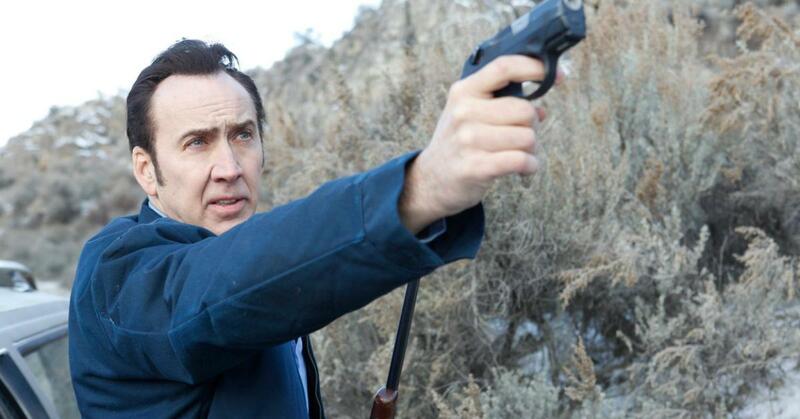 If you're judging by audiences and the few critics who managed to rate Between Worlds as fresh and you happen to be a fan of Nic Cage's trademark over-the-topness, then you might actually enjoy this movie. Nic plays a trucker named Joe who's constantly haunted by the memory of his dead wife and kid. He teams up with a "spiritually gifted woman" who gets Cage to help her find "the lost soul of her comatose daughter." Here's where it gets really Cage-y: Joe's dead wife ends up possessing the spiritually gifted woman's body to enact some revenge on the living. 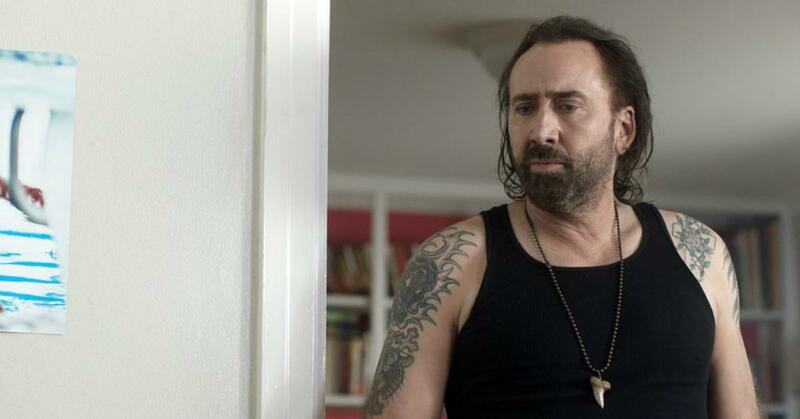 One of the weirdest Cage movies to come out in recent years. Cage plays Ray, a married man who, along with his wife Maggie, copes with the loss of his daughter by purchasing a motel in the middle of nowhere. Soon after buying it, Ray notices the place is really spooky, then discovers a crawlspace that leads to a two-way mirror, suggesting the previous owner was a major creepazoid... and Ray becomes one himself. One critic calls it a "derivative thriller about strange doings at a desert motel," which sounds like it could have the makings of a good film, but because the film doesn't build tension and lacks any compelling characters, most say it just falls flat. OK, you'd think a modern-day retelling of Don Quixote starring Russell Brand and Nic Cage — the latter of whom plays a man who gets a message from God to capture Osama Bin Laden, armed only with a sword he purchased from the Home Shopping Network — would be the greatest movie ever made. But as it turns out, it's not that funny, and whoever directed the film botched the entire thing. How you waste the madcap energy of performers like Cage and Brand is a real shame, especially with a premise as amazing as this. Oh well. It's worth mentioning there were a few recent Cage titles that have actually been pretty good, like Mandy and Mom and Dad. But for every one of those, there's a title like Arsenal, which was universally lambasted, like most of the films on this list. A quick look on his IMDb page shows he's got a bunch more projects queued up, so if you're a Nic Cage film completionist, you've got plenty of titles to look forward to. Lucky you? What Is up With Usher's New Haircut?